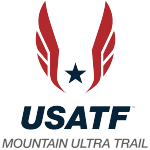 The USATF Mountain, Ultra & Trail Running Council is proud to announce athletes for the 2016 IAU Trail World Championships coming up October 29 in Transpeneda–Gerês, Portugal. A team of 5 women and 5 men will tackle the technical point to point 85 km course through Parque Nacional Peneda-Gerês along the mountainous border with Spain. 2016 is the second year this event has been designated a “world championship” by the IAAF and the first year the American team will receive travel funding from USA Track & Field. YiOu Wang, Mario Mendoza, Devon Yanko, Alex Varner, Corrine Malcolm, Ryan Bak, Larisa Dannis, Tyler Sigl, Sabrina Little and Jared Burdick. Jared Burdick (Syracuse, NY): Jared grew-up in Upstate New York and won the state & federation high school cross country running championships. He earned his team spot with a strong 2nd place finish at the Cayuga Trails 50 Mile – the 3rd of 3 team selection races. Also in 2016 Jared won the USATF 50k Road Championships in Caumsett, NY. Showing speed to go with his trail acumen, Jared has a marathon PR of 2:20:24; 31:14 for 10,000 meters and 3:58 in the 1500 meter. Tyler Sigl (Seymour, WI): Tyler has been quick on the roads & trails earning is automatic team selection with a win at the Cayuga Trails 50 Mile. He also competed in the 2012 US Olympic Marathon Trials and has a PR of 2:17:28. On the trails Tyler won the 2013, 2014 & 2015 North Face 50 Mile ECS Wisconsin. On the roads he ran to victory at the 2015 USATF 50 Mile Road Championships and earned a spot on Team USA for the IAU 100k World Championships. Larisa Dannis (Mill Valley, CA): Larisa is a professional endurance athlete, Olympic Trials qualifier, 2nd place finisher at the 2014 Western States 100 Mile Endurance Run and the 2014 USATF 50 Mile Road Champion. More recently she earned her team selection as the 2nd American at the 2015 North Face 50 Mile Championships. Larisa also won the Rodeo Beach Rumble 30k and the Ice Age Trail 50 Mile earning a spot on Team USA for the IAU 100k World Championships (road). Sponsors: Hoka One One, Ultimate Direction, INKnBURN, VFuel, Tailwind Nutrition, Julbo USA and Trailbutter. Ryan Bak (Bend, OR): Ryan is an experienced off-road runner & former Team USA member having competed at the World Mountain Running Championships & NACAC Mountain Running Championships. Ryan earned selection with a strong 3rd place finish at the 2015 North Face 50 Mile Championships and also won the Chuckanut 50k. Ryan has a 2:14:17 marathon PR (2011), is a 3-time Olympic Trails competitor (5,000m in 2004 & 2008, Marathon in 2012), a former Team USA member for World Cross Country Championships, a 3-Time NCAA III National Champion & 10-Time All-American. Corrine Malcolm (Bellingham, WA): Corrine is a former member of the US Biathlon Team and relative newcomer to ultra-trail racing. She won the Cayuga Trails 50 Mile – the 3rd of 3 team selection races – beating 2015 IAU Trail Championships team member Amy Rusiecki. 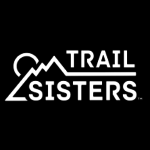 Corrine has continued to hone her skills in long distance trail racing with strong finishes at the Gorge Waterfalls 100k, Chuckanut 50k and Flagstaff Skyrace. Alex Varner (Mill Valley, CA): Alex was a member of last years silver medal winning men’s team at the inaugural IAU Trail World Championships in Annecy, France. Alex also set a course record at this year’s Quad Dipsea race and is ranked #1 on Ultrarunning Magazine’s 2015 list of graded 50 Mile performances. Mario Mendoza (Bend, OR): Mario is a past member of Team USA having run the World Long Distance Mountain Running Championships and NACAC Mountain Running Championships. Mario won the 2015 Cayuga Trails 50 Mile & USATF Trail Marathon Championships, finished 3rd at the 2016 Lake Sonoma 50 Mile and was the top American at the Gorski Marathon in Slovenia. Sponsors: Nike Trail, Hammer Nutrition, Drymax socks, Nathan Hydration, Recharge Sport, Focus Physical Therapy. YiOu Wang (San Anselmo, CA): YiOu is a versatile and accomplished athlete on roads & trails at distances long & short. YiOu won the Lake Sonoma 50 Mile; the 2nd of 3 team selection races. YiOu also won the Quicksilver 50k, finished 3nd at the Way Too Cool 50k and most recently finished 13th at the Western States 100 Mile Endurance Run. She’s also been an Olympic Trials qualifier with a half marathon time of 1:15:40 and a 2:38:46 marathon. Sabrina Little (Waco, Texas): Sabrina qualified for the team with her 2nd place finish at the Cayuga Trails 50 Mile – the 3rd of 3 team selection races. She also won the 2016 USATF 100 Mile Trail Championships at Rocky Racoon and is the U.S. 24 Hour record holder. Devon Yanko (San Anselmo, CA): Devon is a past member of Team USA and most recently won the Sean O’Brien 100K, Javelina 100 Mile and finished 3rd at the 2016 Western States 100 Mile Endurance Run. Sponsors: HOKA One One and Oiselle. 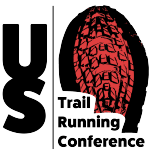 These athletes were selected to the team based on performances at the 2015 IAU Trail Championships; selection races at North Face 50, Lake Sonoma 50 and Cayuga Trails 50 and resume submissions as outlined in the published selection criteria. The following athletes earned automatic selection based on the published criteria but declined their spots: Cassie Scallon (IAU Trail), Alex Nichols (IAU Trail), Zach Miller (TNF), Dylan Bowman (TNF), Megan Kimmel (TNF), Kaci Lickteig (Lake Sonoma), Jim Walmsley (Lake Sonoma) and Tim Freriks (Lake Sonoma).